Viral Girl Scout cookie hero arrested on drug charges in S.C.
GREENVILLE, S.C. (KABC) -- A South Carolina man whose act of kindness toward some local Girl Scouts made him a viral hero has just as quickly fallen from grace after his arrest on drug trafficking charges. The photo of the man buying $540 worth of cookies so the girls could get out of the cold was shared thousands of times. The man first bought seven boxes of cookies from the girls outside a store near Greenville, S.C., then came by again and bought the rest so they wouldn't have to stand outside shivering. He posed for a pictures with the girls but no one got his name. But authorities knew who he was. The man, now identified as Detric Lee McGowan - known as "Fat" - was arrested by federal Drug Enforcement Administration agents on Tuesday, according to South Carolina station WSPA. Authorities accuse him of multiple drug trafficking charges, saying he and nine others named in a 22-count federal indictment were involved in smuggling heroin, cocaine and fentanyl to the United States from Mexico. He's also accused with three others of trying to smuggle more than $1 million cash out of the country. The DEA says McGowan was taken into custody at his residence in a rural part of Laurens County, where cash and other assets were seized by U.S. marshals. The arrest was part of an longer-term federal investigation that began in September 2018, though the indictment says authorities believe the alleged drug activity dates back to at least 2016. "Nobody was hurt. Nobody was threatened. 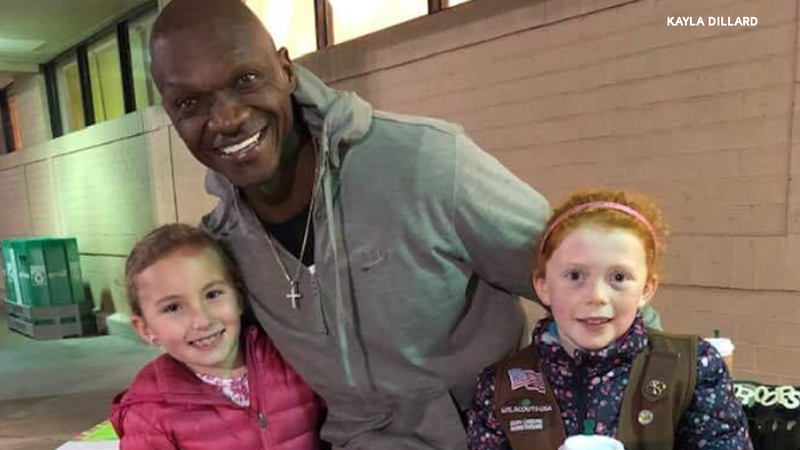 We had no reason to believe that this man was anything other than one of our valuable customers that is helping Girl Scouts power awesome experiences through the Girl Scout Cookie Program. This is now in the hands of law enforcement and of course we will cooperate with authorities." The original Facebook post praising the then-mystery man for buying the cookies has since been taken down.